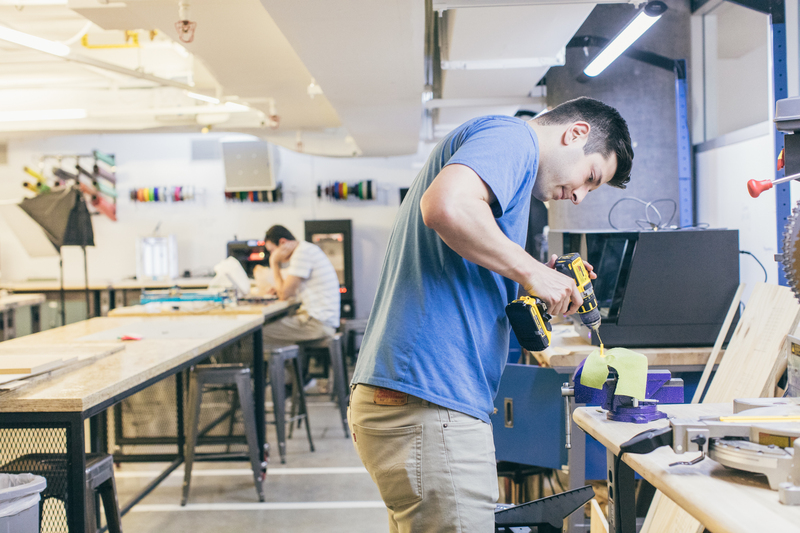 The Garage is home to Northwestern’s startup community, housing multiple student startups, classroom space, and fabrication equipment for use by the student entrepreneurs. The Garage houses maker and hacker equipment, as well as a virtual reality and augmented reality lab, providing a wide range of early prototyping capabilities. The Garage primarily supports work being done in the startup work category and does not support prototyping or production for general curriculum or research projects. Users of the equipment must be registered users of The Garage space as part of The Residency Program, and should contact The Garage for additional information on access to fabrication equipment. The Garage hosts training events for equipment, for registered users of The Garage. One-on-one training is also available for students. Please visit The Garage website for additional information. Please enter through the staircase near ground floor dining.